WACO, TX – FEBRUARY 27, 2019 – ClearylyRated announced that Total Placement Staffing won both the ClearlyRated's Best of Staffing® Client and Talent Awards for superior service. Presented in partnership with CareerBuilder, less than 2% of all staffing agencies achieve these awards for service excellence. See ratings and testimonials below. Total Placement is consistent in providing quality and qualified temporary candidates for our employment needs. The staff works with us in finding the best candidate to fit the position. Leti and her team are great to work with. Its good to know that there are still companies that still have great attitudes and awesome manners , true professionals!!! Excellent customer service. I use this service due to the fact that Judy is very attentive to our needs and makes sure she goes out of the way to help make sure we get the right person for the job. Tom Ramsey and his staff provide exceptional service. We enjoy working with them. Rates are competitive and reasonable. The professionalism in service provided by Mary Anna. I call most times with an urgent need providing little time to screen qualified contacts. She always delivers! Excellent people behind the agency. Being here 4 months every time I have a problem or question, I email them and they resolve my problem or answer my questions. Any time I have had to update my profile because of personal changes they have done so immediately. I've always received my pay and pay-stubs on time and any other important information needed. Total Placement found me an excellent long-term temp position relevant to what I was looking for. I always receive prompt responses to any emails, and the staff is friendly when I have been to the physical location. I had trouble finding a job due to my background and with their help I was able to get into a job. Total Placement didn't turn me down like other agencies have. The Total Placement seemed to be understanding and not judgmental with my situation. If it wasn't for their help I wouldn't have gotten a job. I'm just very impressed with the experience that I've had with Total Placement . And the job I've been assigned to has change my whole outlook on life. The people here are very honest and caring people. And I'm so thankful to have had this second chance at life. 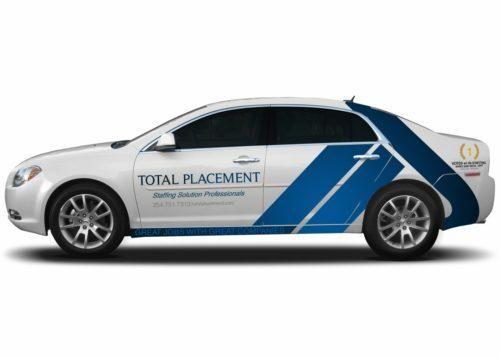 Total placement is very convenient, extremely helpful, and I've never had any issues or concerns about anything. Everything gets handled fast and in a professional manner whenever I needed assistance. © Copyright 2019, ClearlyRated, All Rights Reserved.